Thomas Cassady was born on January 5, 1896, in Freedom, Indiana. He attended the University of Chicago from 1914 to 1916, and then left to join the U.S. Ambulance Service in December 1916. Cassady arrived in France in February 1917, and enlisted in the French Foreign Legion in April 1917. He joined the French Air Service in July 1917, and received flight training in Avord, Tours, Pau, and Plessis-Belleville, France, before joining Spa157 in December 1917. 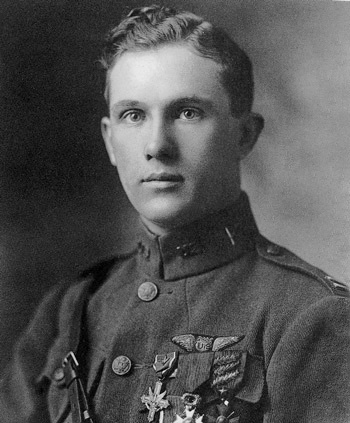 Cassady joined the Aviation Section of the U.S. Army Signal Corps in February 1918, serving with the 103rd Aero Squadron until May 1918, when he transferred to the French Spa163. Lt Cassady was credited with the destruction of 5 enemy aircraft in aerial combat before joining the U.S. 28th Aero Squadron in September 1918. He destroyed an additional 4 enemy aircraft while flying with the 28th, for a total of 9 destroyed during World War I. Capt Cassady returned to the U.S. in March 1919, and was discharged at Mitchel Field, New York, on April 21, 1919. During World War II, he accepted a commission in the U.S. Navy and served with the Office of Strategic Services in France from 1942 to 1945. During this time he was held as a Prisoner of War by the Germans from 1942 to 1944. CDR Cassady was discharged from the Navy on November 18, 1945. He died on July 9, 1972, and was buried at the Lakewood Cemetery in Minneapolis, Minnesota. The Distinguished Service Cross is presented to Thomas G. Cassady, First Lieutenant (Air Service), U.S. Army, for extraordinary heroism in action on August 15, 1918, near St. Maire. 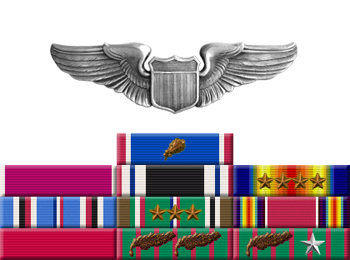 While in action as protection for a Salmson, First Lieutenant Cassady was attacked by seven Fokkers, two of which he brought down and enabled the Salmson to accomplish its mission and return safely.